Adept Inc. offers stellar Mechanical Engineering services for all types of machine and product development. Though based in Long Island, NY, Adept has a wide array of customers from across the United States in a variety of industries. One of the oldest and broadest engineering disciplines, Mechanical Engineering applies the principles of physics and materials science to the analysis, design, and manufacture of systems that involve force and movement, whether simple or complex, or solid, liquid or gas. 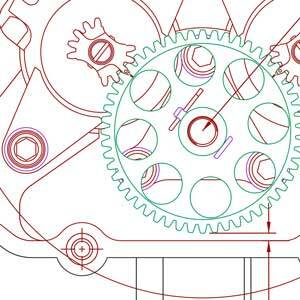 Mechanical engineering requires understanding core areas such as thermodynamics, mechanics, materials science, dynamics, structural analysis and electricity, to name a few. With more than 30 years of experience in Mechanical Engineering, Adept will work with you through all stages of design, from the initial concept to the final product. Whether you need a single component or a complete machine, product or innovation, our team excels at providing innovation solutions to challenging engineering problems. Adept’s founder and Chief Engineer Matt Hayduk began his career at Sikorsky Aircraft where he engineered helicopter transmissions among some of the finest engineering mentors in the world. While his career at Sikorsky Aircraft was very rewarding and successful, Hayduk left in 1995, seeking new challenges, which led to his founding Adept Engineering. Despite everything he learned and designed at Sikorsky, Hayduk realized there was far more to Mechanical Engineering than thousands of horsepower or spiral-bevel gears. As such, Adept has grown over the past two decades to offer a wide array of product development services ranging from things like consulting for the Park Zone to solving Hamilton Sundstrand’s fuel control problems. For Mechanical Engineering projects, Adept provides innovative results in complete system layout, finite element analysis, engineering and design of major subcomponents such as actuators, linkages, gears, cams, support structures, enclosures, automation and much more. Combined with our other product design and development expertise, Adept can help you create anything your business needs. For superior mechanical engineering services, Adept Engineering is the best choice. Call us today at 516-759-4161 for a consultation.